,Brooklyn,NY,11205No DatagetLocations(",Brooklyn,NY,11205","Ever + Ever","No Data"); Ever + Ever Brooklyn, NY (917) 208-9906 http://www.everandeverjewelry.etsy.com Email us now Handmade Wedding Jewelry - Brooklyn, NY Ever + Ever is a line of handcrafted artisan jewelry made by designer Rebecca Fogle in Brooklyn, NY using gemstones, pearls, sterling silver and 14k gold-fill. The reasonable prices and high quality make Ever + Ever perfect for the bride on a budget or searching for the perfect bridesmaids' gifts. 1145 Garden State Plaza,Paramus,NJ,07652No DatagetLocations("1145 Garden State Plaza,Paramus,NJ,07652","Perfect Accent","No Data"); Perfect Accent 1145 Garden State Plaza Paramus, NJ 07652 (201) 843-6000 perfectaccent.com Email us now Perfect Accent has a great selection of beautiful wedding and special occasion accessories and gifts. 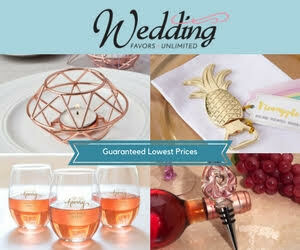 We offer high quality jewelry, headpieces, fascinators, feathers, veils and more at fantastic savings. We take pride in providing excellent customer service. 299-3 raft ave,sayville,NY,11782No DatagetLocations("299-3 raft ave,sayville,NY,11782","Beau'Vous Salon Of Sayville","No Data"); Beau'Vous Salon Of Sayville 299-3 raft ave sayville, NY 11782 (631) 750-9166 www.beauvousbeautybar.com Email us now Beau'Vous Salon Of Sayville Beau'Vous Salon Of Sayville specializes in brides and their bridal party, we offer in salon services located at our private bridal salon, where we only cater to brides and their special day, we also offer on location services. 151 West 5th Street Deer Park, NY 11729 http://www.hangerdesigncenter.etsy.com Email us now Personalized Wedding Hangers Welcome to Hanger Design Center , where we specialize in custom personalized bridal dress hangers . why drag your dress back and forth in the old plastic boring hanger , when you can bring it in style .